Clth, 10.5 x 13 in. / 118 pgs / illustrated throughout. This volume celebrates the masters of twentieth-century photography, with Michael Somoroff’s portraits and behind-the-scenes photographs of Brassaï, Cornell Capa, Ralph Gibson, Horst P. Horst, André Kertész, Jacques-Henri Lartigue, Arnold Newman, Helmut Newton and others. In an accompanying essay, Somoroff reminisces about his heroes and mentors. 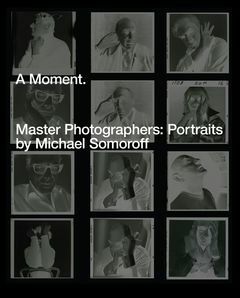 In a series of evocative portraits, Somoroff shows us photographic legends whose names are more famous than their faces, including such elusive figures as André Kertesz, Brassaï, Robert Doisneau and Art Kane. FORMAT: Clth, 10.5 x 13 in. / 118 pgs / illustrated throughout.